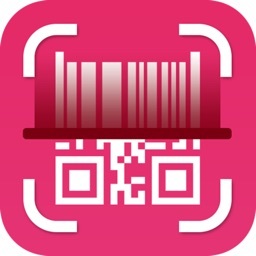 - Make, share and print barcodes and QR codes (Quick Response) in a single app. 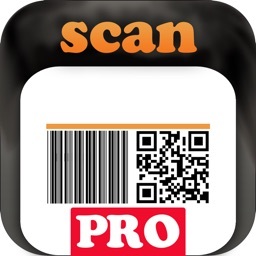 - There are lots of programs that read barcodes and QR codes but nobody allows you to generate both in one app! 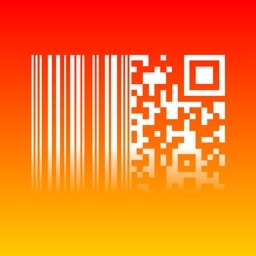 - The codes created are stored for reuse whenever you want. 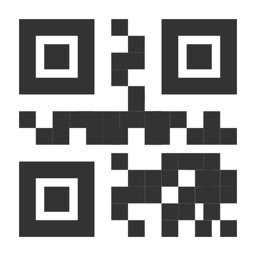 - You can create QR codes lengths up to 4296 characters and bar codes EAN 13/8 , UPC A/E , Code 39 and Code 128 (with text). 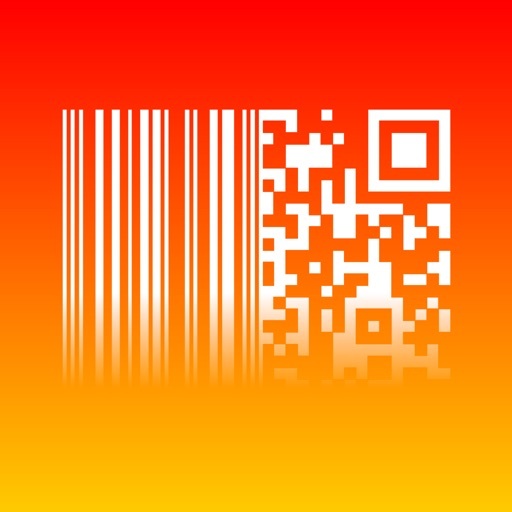 - You can also discover the origin of any barcode from around the world. 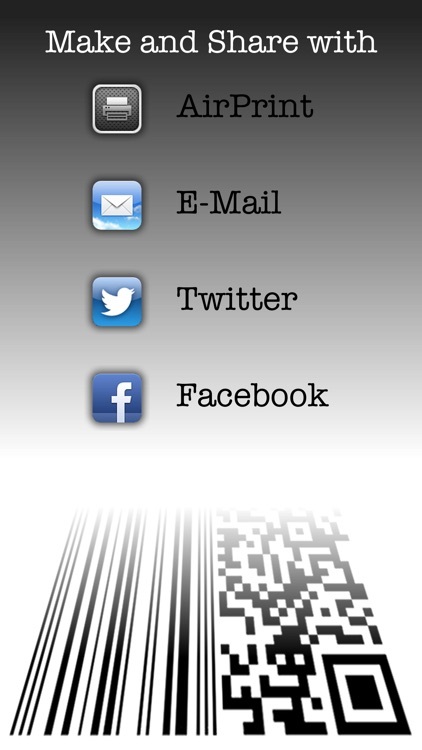 - You can share it on Facebook, on Twitter, you can save on the camera roll, print via AirPrint, or send it via e-mail. 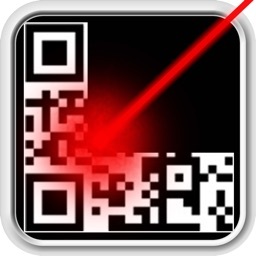 - Fast, easy and very useful! 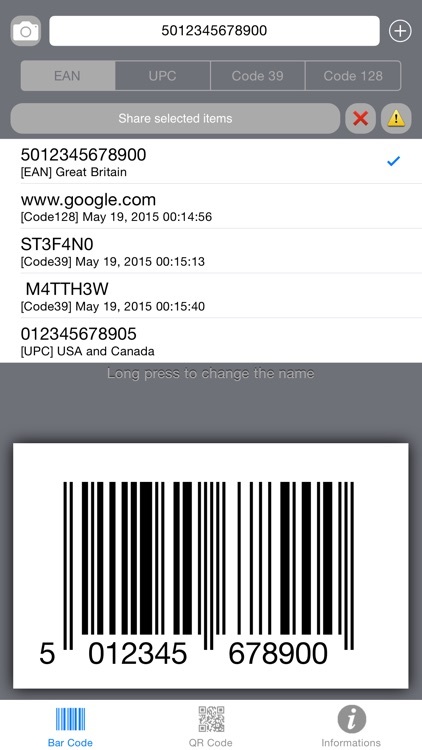 - Version optimized for all Apple devices iPod, iPhone and iPad. 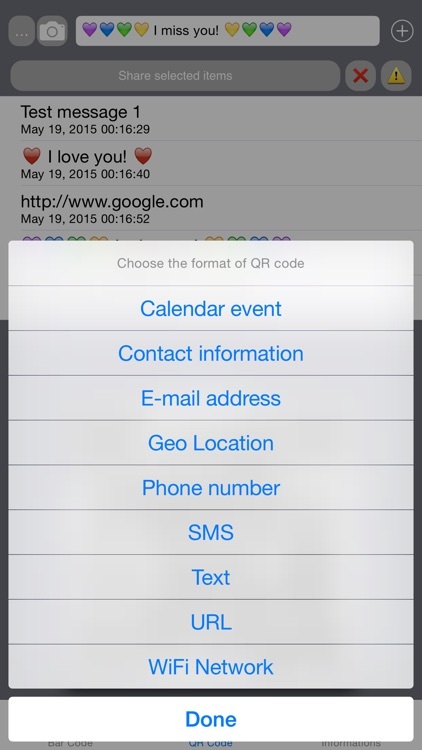 - We are developing new features that will be available in the next version. 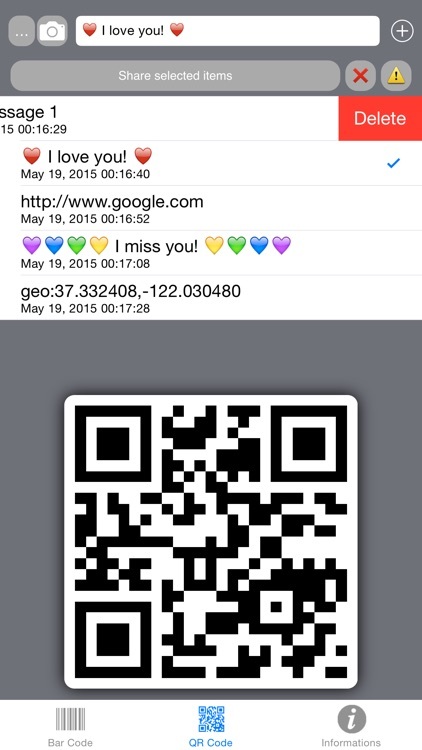 - QR Codes support Emojii Art! 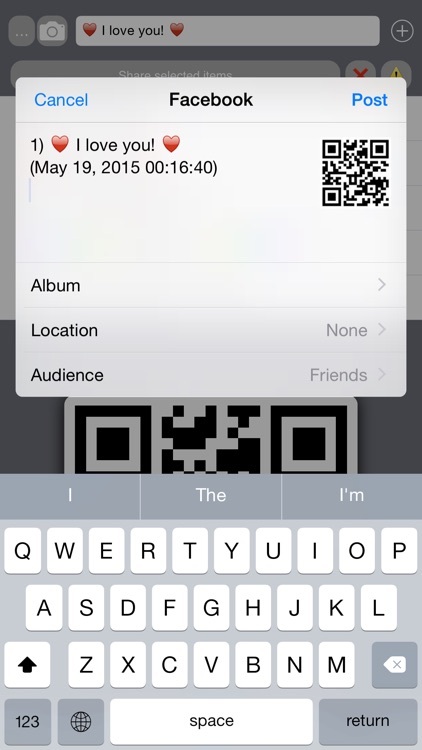 Draw with emojii art, convert qr code and share with anyone! An original way to exchange messages. 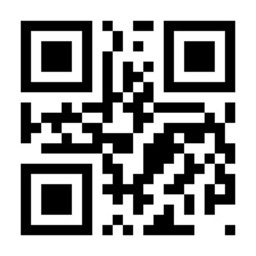 - If you want to translate the application in your language, click on Informations and Translation. - For any information, suggestions or report, please contact us.